What is a Zero Energy House? Solar panels can help collect energy to be used in a home. A zero energy house is a home that has a net energy consumption of zero. The term zero energy is somewhat vague, and can be applied to a variety of different situations. Generally, a zero energy house will have few or no carbon and greenhouse emissions, will produce all its own energy through renewable sources, or will replace energy taken from traditional sources with materials from renewable sources. It is a mistake to think that a zero energy house has no electricity or devices that use energy. Zero energy houses usually have all of the appliances and conveniences of modern homes, such as lights, heated water, washing machines, and general use electricity. A zero energy house is distinguished not by the lack of energy-using materials but by the source from which energy is drawn, as well as a mechanism for replacing or generating energy without creating carbon or energy emissions. A zero energy house may produce all of its energy from renewable or sustainable sources, such as through the use of solar power. Solar power can be used to produce energy for a home or building, just like a power plant can for a large grid of buildings. If a house can rely totally on self-produced energy and takes nothing from a traditional electrical grid, it is often considered a zero energy house. 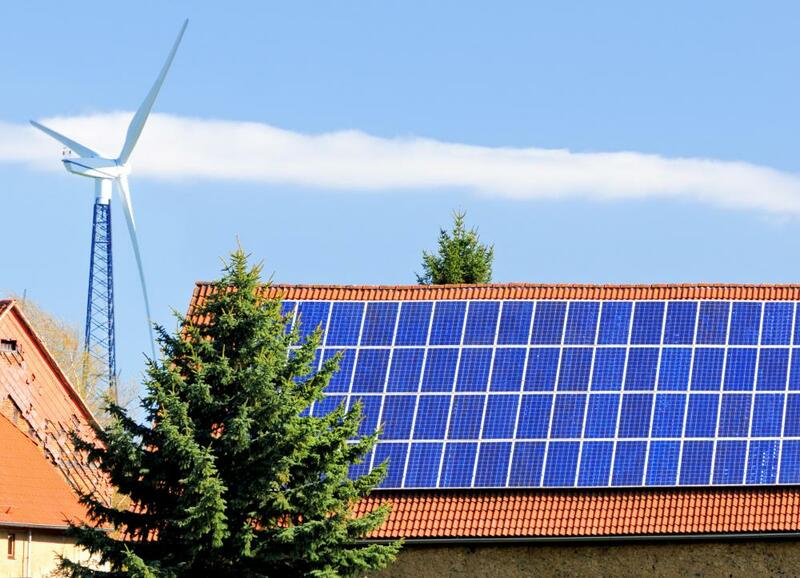 In some areas where renewable energy sources are publicly available, a house can be considered to have net zero energy if it only uses power from an offsite renewable source. This means that the house does not necessarily produce its own energy, but buys it from a renewable energy company. With offsite energy providers, it is often necessary to consider the energy lost in the transmission process when determining if a house or other structure is truly zero energy. The amount of energy needed to transmit and use renewable energy will be higher than the amount required just for use. The term zero energy house may also be used to describe a house that has a net zero carbon emission rating. This means that the house creates enough on-site renewable energy to balance the emissions caused by using some fossil fuel energy. This may also be called net zero cost, as the owner of the house can sometimes sell excess renewable energy to a main power company to offset the amount of fossil fuel power used by the house. Some environmental experts consider zero energy homes to be a major part of reducing greenhouse gas emissions and reducing the impact of sustained global warming. As renewable energy technology increases, it becomes far easier to incorporate zero energy design into modern homes without sacrificing the comfort or convenience of residents. Zero energy building is often portrayed as financially beneficial for residents, as using home-generated solar, thermal, or wind power can lower electricity and gas bills from main power companies significantly. What Is a Carbon Grid? 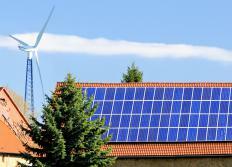 What Are the Different Types of Sustainable Energy Technologies? What are the Different Types of Greenhouse Equipment? This is becoming more and more mainstream, which is great. I look forward to the day that all new construction has to meet net-zero energy consumption. This is an excellent standard to which we should aspire, regardless of the advances in technology for centralized energy production and distribution. A distributed network will have greater redundancy, fewer outages, and better utilization of the power in the grid at any given point in time.